David M. Kotz is author of The Rise and Fall of Neoliberal Capitalism, Harvard University Press, 2015 (January). 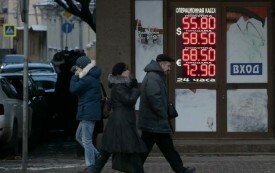 Plummeting Oil Prices Could Bring Radical Change to Russia. What Comes Next? The weakness of the petrostate economy could jolt Russia’s political elites—or its ordinary citizens—to take action.